When the Corvette was introduced at the 1953 GM Motorama, it was displayed as a "dream car," and many enthusiasts dreamily remember the first time they saw one. 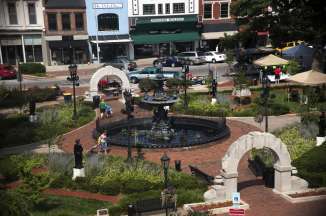 This list of nostalgic things to do in Bowling Green is for the visitor who yearns for the good 'ole days and prefers the vintage style! 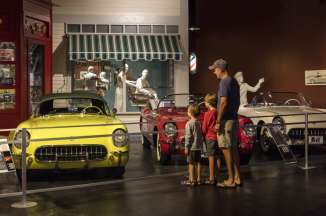 Fuel up at the hotel before heading out to browse collectibles, peek under the hood of Corvette's history, pose for photos at a 1921 gas station, stroll around an historic downtown square, and admire an art-deco theatre. 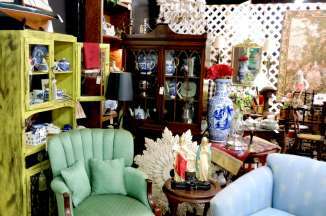 Start your day off at Vette City Antique Mall where over 250 booths offer candy for the eyes with items ranging from collectibles and glassware to vintage gifts and accessories. 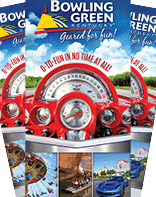 Be sure to check out the huge display of automotive marketing memorabilia! Sometimes, the best souvenir is that one-of-a-kind trinket. The next stop parks you at BG's flagship attraction, the National Corvette Museum, where you can get up close and personal with Corvettes from across the generations! Pick out your favorite style and read about that specific car's history and owners. Sorry, you can't take one for a test drive... unless you're picking up your new one and have scheduled track time at the NCM Motorsports Park! Have lunch at the onsite Corvette Cafe, a 50s-themed diner, to fuel up for the afternoon. Head downtown via US 31W South and turn left onto 7th Avenue to arrive at the next site, one of the Dixie Highway's original filling stations. This 1921 Standard Oil Station (header image above) now serves as public restrooms for the adjacent Circus Square Park. Next, cruise the square like they did "back in the day" and admire historic buildings dating back to the Civil War that now house boutiques, eateries, bars, specialty shops, a craft distillery and more. Sit a spell in charming Fountain Square Park and listen to the water gently splashing... don't forget to make a wish! If your visit falls on the right date, you may be lucky enough to catch a performance or gallery showing at the Capitol Arts Center. 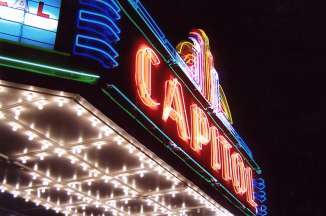 Beginning as a theatre and movie house in the early 1900’s, growing through razing and rebuilding and two renovations, the Capitol has maintained the integrity of the arts and history in this area. Head out in the country for a home-cooked breakfast, explore our railroad history, meet the man behind the cake mix, and browse vintage movie posters to round out this trip down memory lane. 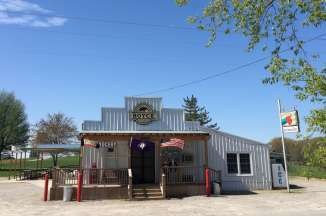 For some of the best breakfast in the county, you'll need to include a Thursday, Friday or Saturday in your trip to indulge in Boyce General Store's old-time favorites. Enjoy the scenic drive about 10 miles outside the city limits. 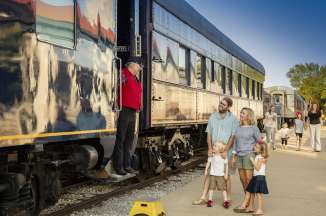 Travel back in time at your next stop to the glory days of railroad transportation. Hear tales from the tracks as entertaining docents lead you through vintage railcars, including the Duncan Hines Diner... you'll learn more about him at Stop 3! Venture a little further down Kentucky Street to explore more of the area's history with a stop at the Kentucky Museum. 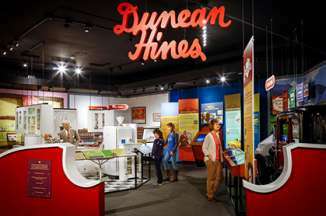 The quirky Duncan Hines Exhibit is what lands it a spot on this itinerary... yes, he was a real person born, raised and buried in Bowling Green! All this talk about Duncan Hines means a bakery is in store! Head down the old Dixie Highway (US 31W- Bypass) to Riley's Bakery and be sure to grab the locals' favorite... Tea Cookies! Call it a wrap after you are wowed by the collection of TV and movie memorabilia housed at Artistic Soul Studio, unless your visit is during one of the BG Hot Rods home stretches. 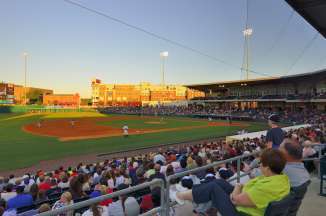 If so, don't miss the chance at catching a Professional Minor League baseball game between April and September.